Philosophical Transactions of the Royal Society B, 369:20130520 (2014). Complex network theory is a statistical physics understanding of graph ‎theory, itself a much older branch of pure mathematics. The statistical physics approach aims at explaining observable macroscopic behaviour of a given system as emerging in a non-trivial way from the interactions of a vast number of microscopic units or agents. 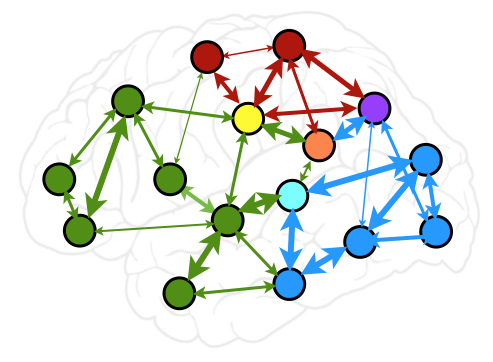 Complex network theory can be thought of as a subfield of statistical physics for structurally disordered, dynamically heterogeneous systems with non-trivial topology; and as an extension of graph theory to systems with high structural heterogeneity and ‎inherently dynamical properties, two key properties of the vast ‎majority of real-life systems, including brains‎. Can this approach be useful when studying brain anatomy and function?